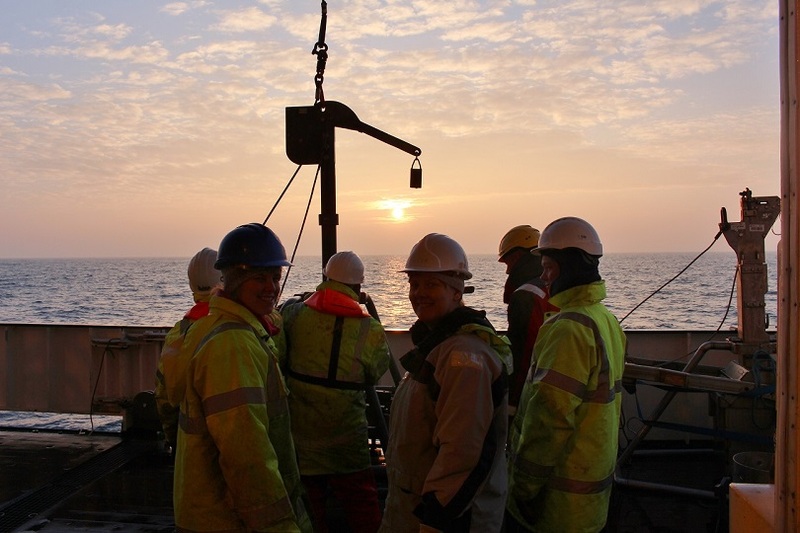 UK Shelf Sea Biogeochemistry Blog: Deployment of SPI camera to the ocan's seabed. 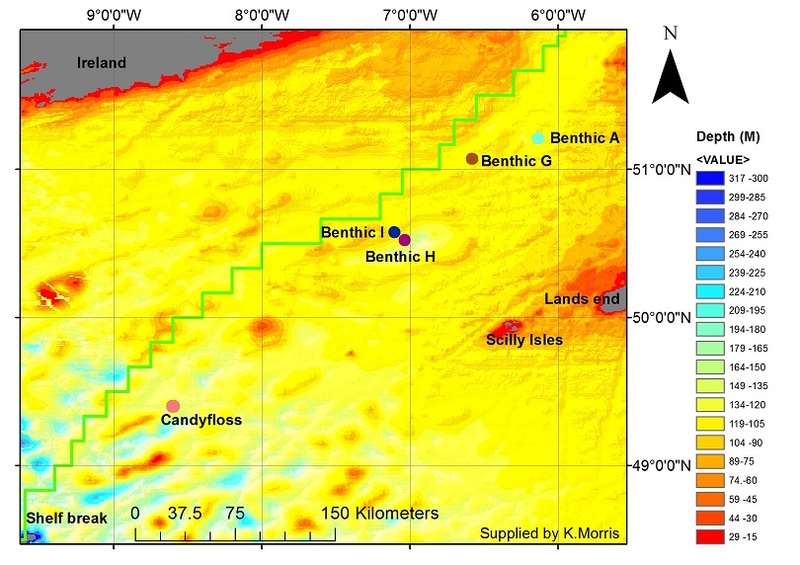 Until Saturday when we are scheduled to depart to CANDYFLOSS we are finishing a spatial survey between the four benthic sites which we have been working at thus far. The work which we are doing at the four benthic stations helps us to understand how processes such as nutrient resuspension and carbon storage work in four different types of marine sediment (mud, sandy mud, muddy sand and sand). The purpose of the spatial survey is to put the data which we have been collecting at sites A, I, G and H into context and to look at gradients in sediment type between the main sites. To do this the program has created a network of 70 locations between the four sites. Our task is to sample as many as we can before we run out of time and head to CANDYFLOSS. At each station we do two NIOZ cores and a SPI camera, which is an instrument that is lowered to the seabed and dropped into the sediment. It contains a prism to reflect the light 90 degrees so that when an image is taken by the camera, you get an image of the sediment and the overlying water. These images are then analysed to get an idea of the sediment type at that location and inspected for any signs of animal life. From the sediment samples brought up by the NIOZ cores, we can find out the sediment type at that particular location, and a variety of measurements are taken including organic carbon, nutrient and chlorophyll concentrations, as well as particle size, porosity (the space between the grains of the sediment) and the oxygen concentrations in the water between the grains of sediment. All of these measurements combined will give us a good idea of how carbon and nutrients are being cycled in the shelf seas over a wide area of the Celtic Sea, with the hope that these data can be extrapolated to cover all of the shelf seas around the UK and parts of continental Europe. This will then give us a much better understanding of the nutrient cycle in this area of the world, and we will be able to estimate how much carbon from the atmosphere is being stored in UK sediments. Kirsty Morris operating the SPI camera just before it hits the seabed.